Canon 5DSR with EF 24-70L f4 IS. Canon released two new full frame cameras, the 5DS and 5DSR, in the last half of 2015. Although their 50 megapixel sensors grabbed the headlines, I was equally interested in the numerous other updates and advances that were part of the feature set. In particular, I was eager to see just how effectively things like the mirror vibration control, as well as the cameras continuous shooting capability worked, along with a whole host of other improvements. The 5DS and 5DSR are not meant to replace the Canon 5Dmk3 (still current at the time of writing) but rather stand beside it as additional options in the full-frame range. I also wanted to see how I, as a wildlife photographer, could benefit from the new camera. The 5D series of cameras has been very successful for Canon, and for good reason. They combine mid-size dslr size, ergonomics and cost with the benefits of full-frame image quality. The 5D Mark 3 is a great all-rounder, with some key features being good image quality, resolution (22mp), great autofocus, medium speed at 6 fps and more. The 5DSR sells for a little more than the 5D Mark 3 but provides far greater resolution, (50mp), shared autofocus and still manages to shoot at 5 fps. Build quality of the 5DSR is very good, with grippy rubber covering most of the camera’s magnesium alloy shell. The camera has a moderate degree of weather-sealing, as compared to most other Canon cameras, and is bested in this regard by the 7Dmk2 and the 1D-series. I am okay with exposing this body or any similarly-built Canon bodies to a little light drizzle, or a few moments of rain, if there is a shot I want to take. But, I do take precautions and I keep them covered as much as possible. This camera is quite good at staying dust free, with only the occasional dust spot showing up on the autofocus screen above the mirror after prolonged use in the field. I very, very rarely end up with dust spots on any of my 5D sensors, and I believe that the flourine coating on the sensor filter stack does a good job, as does the self-cleaning action that is carried out at shut-down. Canon 5DSR from underneath, showing the additional screws supporting the more rigid tripod mount. There is no built-in flash, which is typically a strength benefit. The 5DSR has a strengthened magnesium alloy chassis, with the area around the tripod mount benefitting from increased rigidity compared to the 5D Mark 3. Additional screws are also used to bolt the mount firmly to the chassis. These changes serve to reduce vibration in the camera when mounted on a tripod. There are also some small design improvements inside the camera which might make it more robust internally, and less costly to repair. 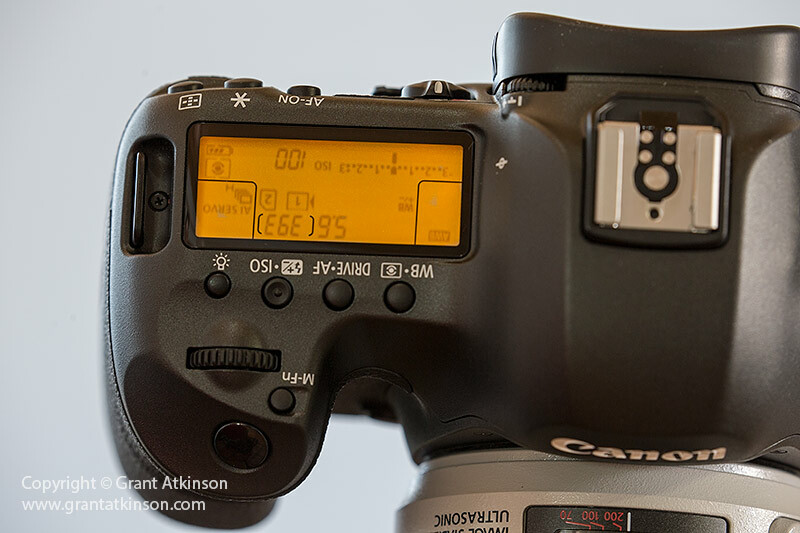 Read this article by Lensrentals, to get an idea of what the inside of the 5DSR looks like. The camera is equipped with the now-standard Canon On-Off slider switch as well as a locking mode dial. I like the locking dial, and the switch location. I don’t really have any problems bumping either the dial or switch accidentally. The camera has the regular mode settings for AV, TV, P, M, Bulb, Intelligent Auto, as well as 3 Custom settings for saving your own favoured groups of settings. The flash mount is standard with built-up surrounds to help channel away water and protect the contacts. Four buttons run along the front of the top lcd screen. Three of these buttons have a double function, depending on whether they are combined with the front control dial or the rear command dial. The 5DSR also has an M.Fn button just beside the shutter release, which is used to cycle through the different AF point grouping options in its default setting. These buttons are similar to what is found on the 5D Mark 3 or 7D Mark 2. 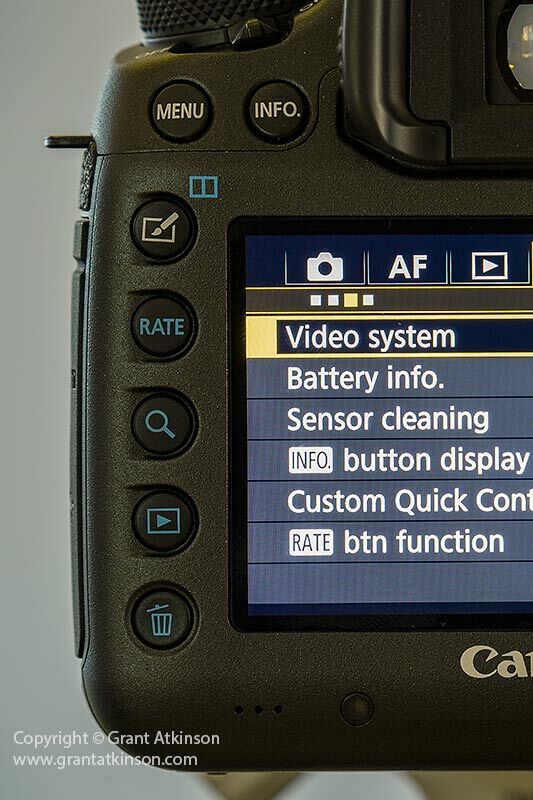 Canon 5DSR upper screen and controls. The eyepiece is large, and deep. The camera has a deep grip which is deceptively large, and may be a bit of a stretch for users with very small hands. On the back of the 5DSR, there is a full set of controls, as you would expect with a high end body. 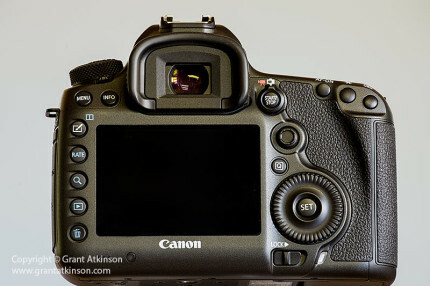 Two buttons, now becoming near standard on Canon bodies, one to activate the Menu, and one for the Info button are positioned high and on the left of the rear lcd. 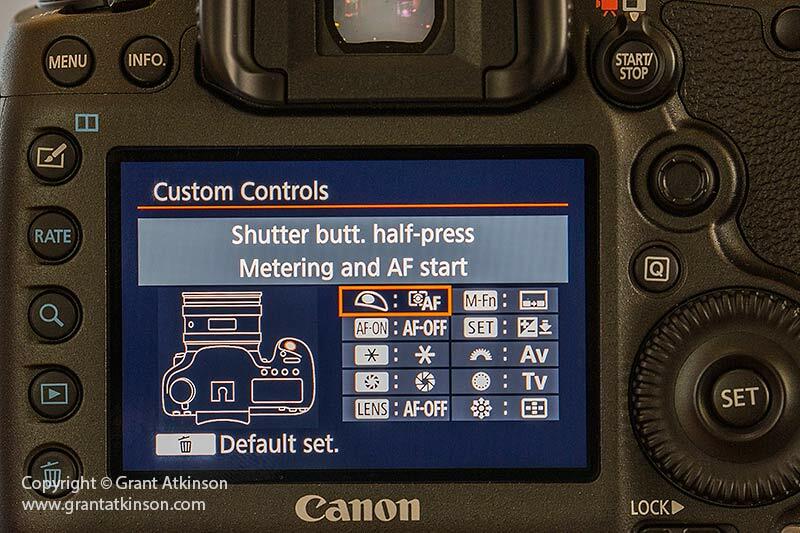 Canon 5DSR controls and buttons. A row of five buttons run down the left side of the 3.2 inch LCD screen, for Picture control/HDR access, Rate, Magnify, Playback and lastly Delete. On the right side of the screen, from the top are a combination switch for engaging Live View and video, the dedicated AF multi-controller joystick, the Q-button for quick access to almost every setting, and then the large Quick Command Dial, with the Set button within. A sliding lock switch sits beneath. 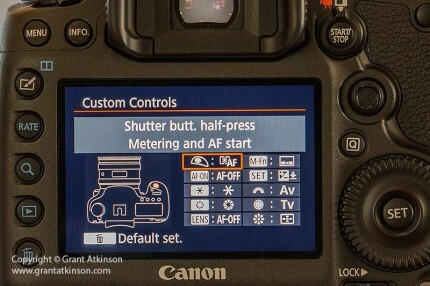 Canon 5DSR controls and switches. The rear LCD is 3.2 inches, which is as big as any in Canon’s dslr range. Resolution is around a million pixels, identical to the 5Dmk3. The screen is made of tough, impact resistant glass and cleans up easily. Immediately after getting any of my cameras, I cover the screen with a protective plastic guard which adheres cleanly and works perfectly at adding an extra level of protection. At the time of writing, I have not managed to scratch or break any of my Canon lcd screens and my cameras get hundreds of days of use in a year. 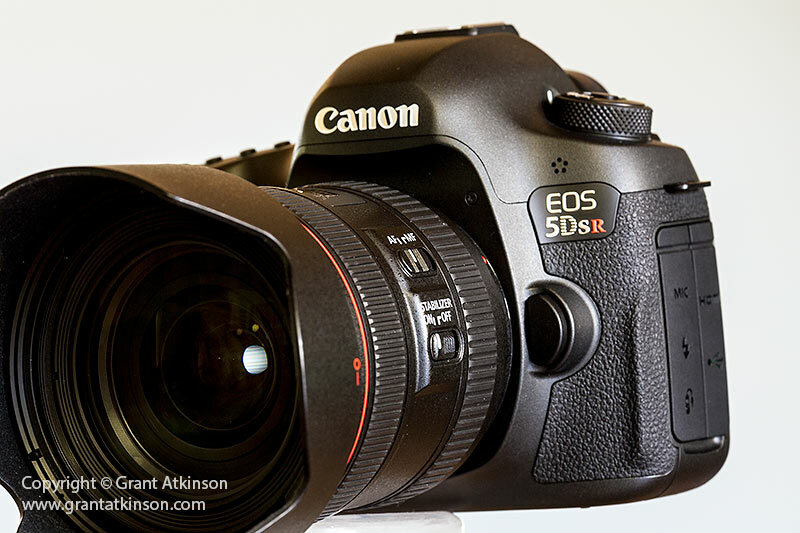 From the outside, the ergonomics of the 5DSR look identical to those of the 5D Mark 3, its Canon stablemate. However, the 5DSR has far more options when it comes to assigning settings to the 10 different controls or buttons, accessible via the Custom Controls menu screen. This includes buttons like M.fn, Set, and the Quick Command Dial. 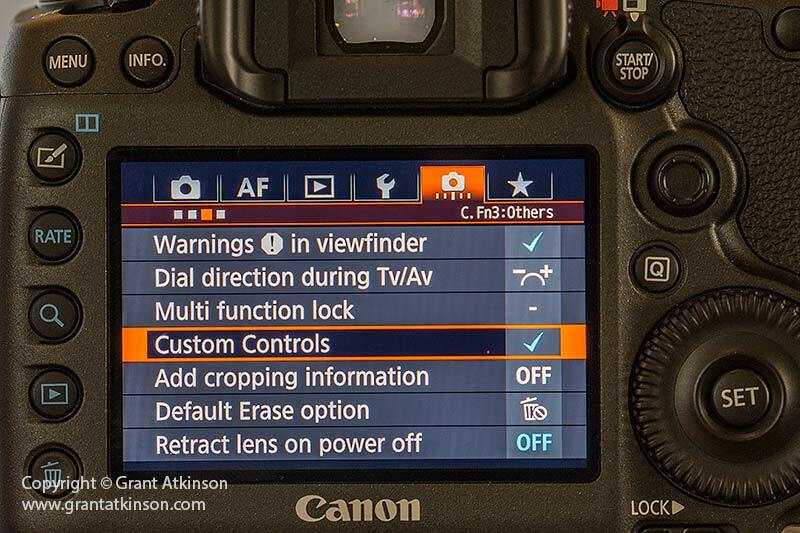 Almost every menu option in the Custom Controls menu offers expanded choices in the 5DSR, over the 5D Mark 3. Depending on your own preferences it is likely that you may be able to configure the camera to suit your own needs better than the older model. An example of my own 5DSR setup preference is the M.Fn button. Pressing it directly during metering allows me to see directly in the viewfinder which Drive mode I am in, and whether I am in Ai Servo or One Shot focus mode. 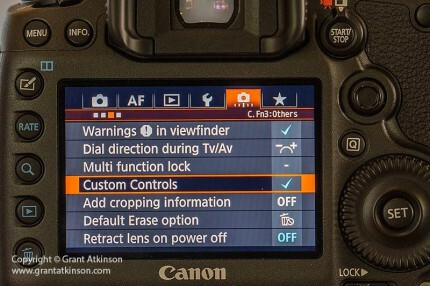 Being able to change or confirm settings like this saves me time and missed opportunities that can come from having to look away from the viewfinder. 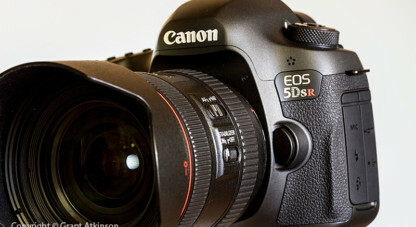 The 5DSR is a medium-sized dslr, in its standard form. As far as medium-sized dslr bodies go, it is quite chunky in terms of bulk. The grip and controls can be a little bit of a stretch for those with smaller hands. It shares its dimensions with the 5D Mark 3, at 152.0 x 116.4 x 76.4mm. 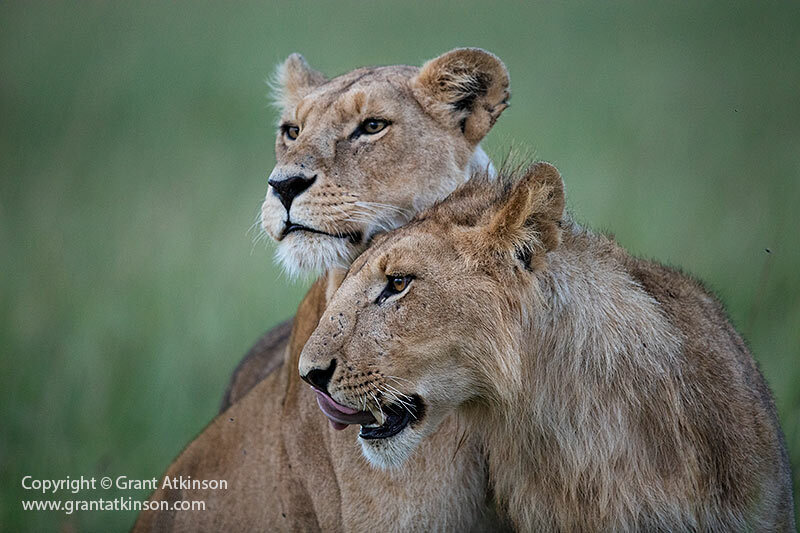 Putting the Canon 5DSR and EF 24-70L f4 IS to work, Kenya. You can also attach an optional battery grip to the camera if you would like the added versatility of a set of vertical controls, as well as doubling the battery capacity. 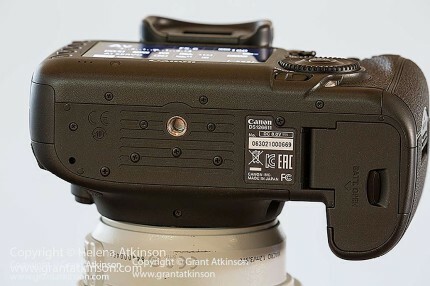 The battery grip screws into place, and uses one or two LP-E6N or LP-E6 battery type that comes with the camera. With the grip in place, the body is almost identical in size to the pro bodies like the 1DX. Despite the increased rigidity and strength of the base of the camera, Canon have managed to shed 20g in weight compared to the 5D Mark 3. The 5DSR weighs 930 g. That is not much of a difference but every little bit of lighter is better. The 5DSR uses the LP-E6N battery, which gives me somewhere between 700 and 1000 shots on a charge. My last charge showed the following numbers: Shots taken 678 – remaining battery capacity 28 percent. The numbers I get come about with lots of continuous AF tracking, constant use of image stabilization and version 2 lenses, as well as a little Live View shooting. I shoot raw only, turn off unnecessary processing steps in the camera, and spend only a minimum of time looking on the back of my camera when in the field, which gives me those numbers. Some users are getting a lot less shots than I do. It may be that Canon move to a new battery design with their next generation of mid-sized dslrs. I for one will be sorry when that happens. Right now I can head into the field with a 5DSR, a 5D Mark 3 and a 7D Mark 2 in my bag, and share batteries and one kind of charger amongst them. Charging time for the LP-E6N is over an hour and the charger is compact and light, ideal for travel. The 5DSR has a high specification autofocus system, really only bested by the 1DX series. 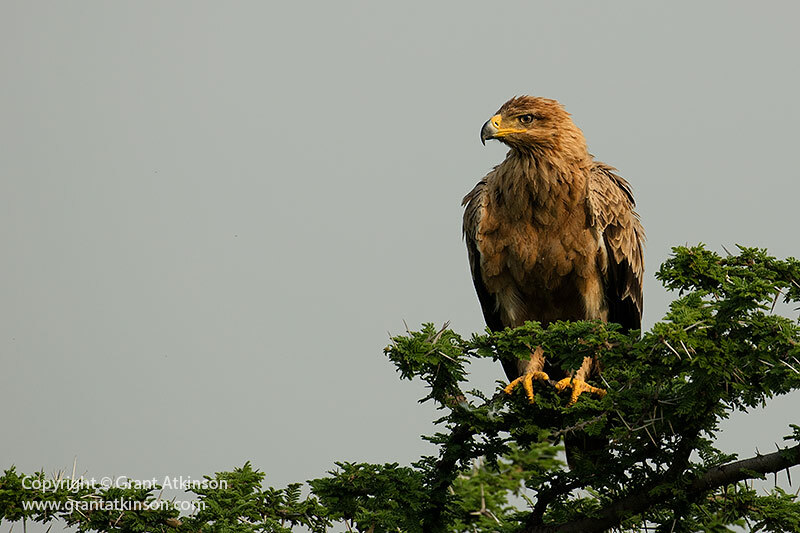 For wildlife photography, autofocus is one of the most important aspects of a camera’s performance. The better autofocus systems enable users to keep up with fast-moving subjects at really high speeds, and produce multiple sharp shots in sequences. Better autofocus cameras can also make it easier to work in really low light conditions, or when shooting against a light source. The AF array is the same as the one found in the Canon 1DX, and the 5D Mark 3. 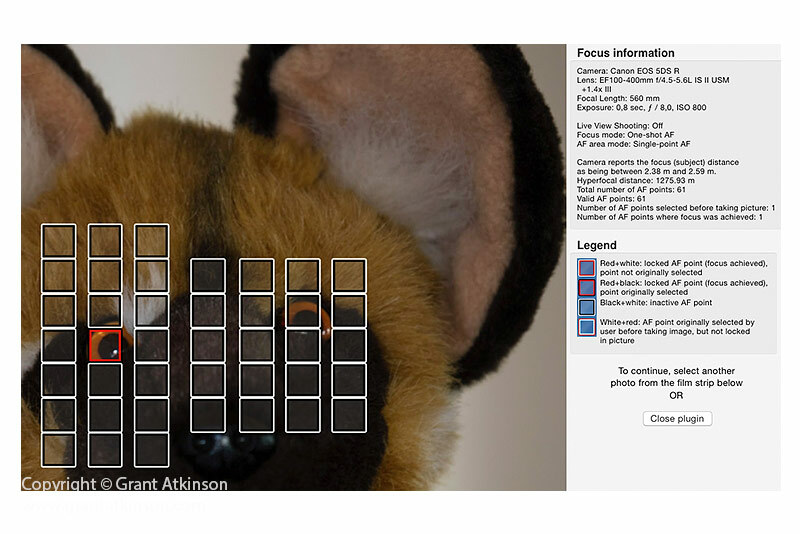 It consists of a grid of 61 focus points, of which 41 are cross-type with an f4 lens. The central AF point, along with two directly above and below it, making for a total of five points, are dual cross-type sensitive with an f2.8 or faster lens attached for increased precision. In use, this autofocus system is one of the best. 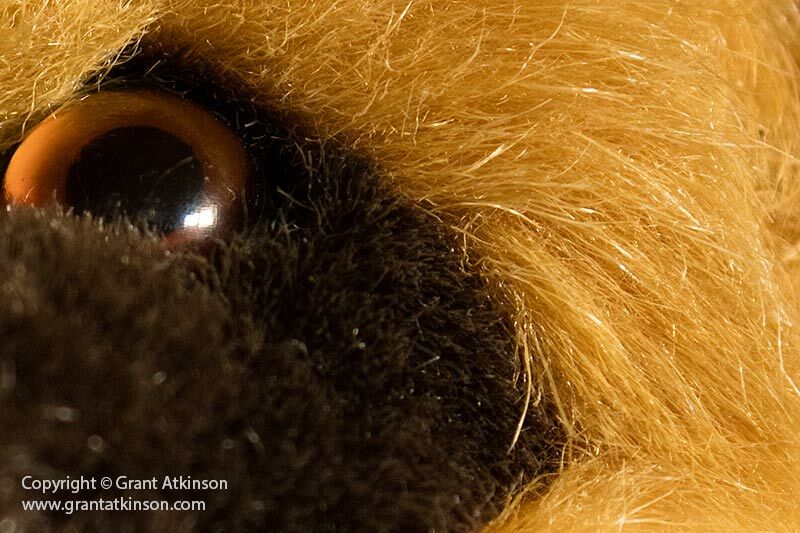 It focus fast and accurately, and it does it again and again, especially with static or slow-moving subjects. It works well in low light, and it even works when shooting against the sun. It is noticeably superior to the AF system that used to be found in Canon’s earlier 1D series, in cameras like the 1DS Mark 3, the 1D Mark 4 and 1D Mark 3. The AF array covers a good part of the frame, although the AF points don’t go right to the edge. For moving subject matter, I prefer anyway to stick to points that are not on the outer edge of this array, as there is less light around edges of the image for AF to work with. When I need precise position of my AF point, then I stick to a Single Pt, chosen by myself. 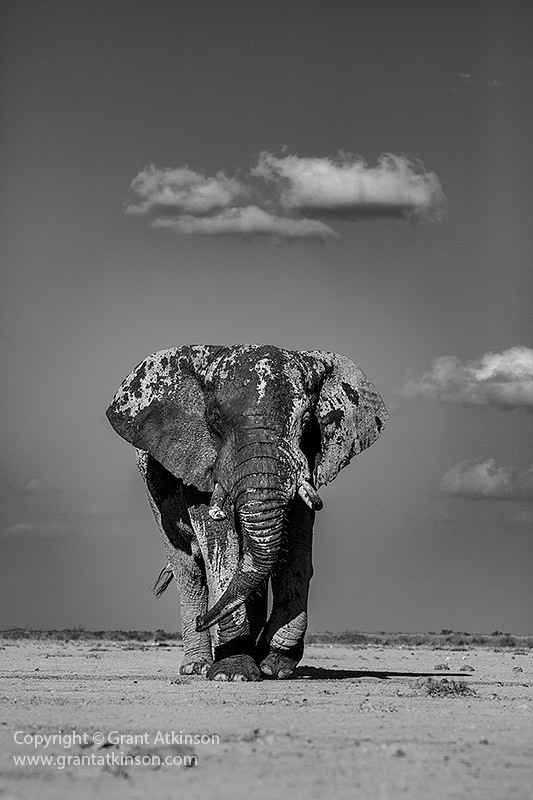 In this instance you can see that my composition has dictated that I use the very outermost point to stay focused on the elephant, which was walking slowly. 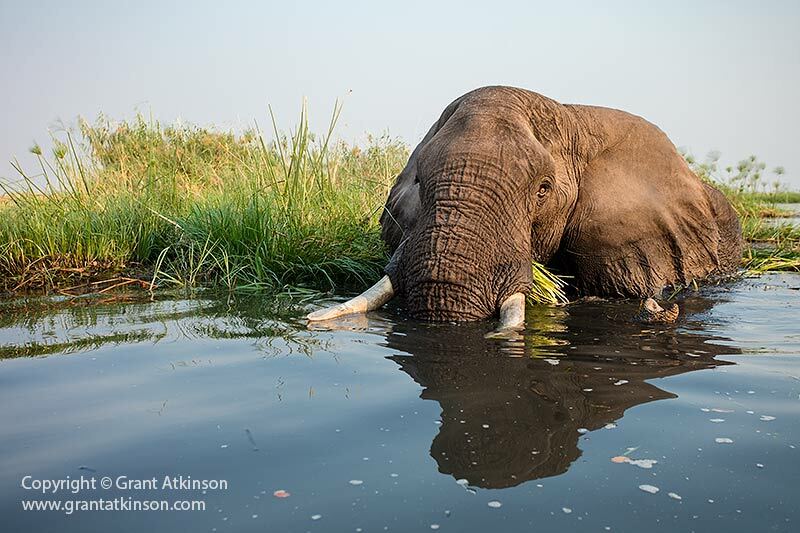 I am confident in the accuracy of the outermost ring of AF points when my subjects are static or slow-moving, like this elephant. 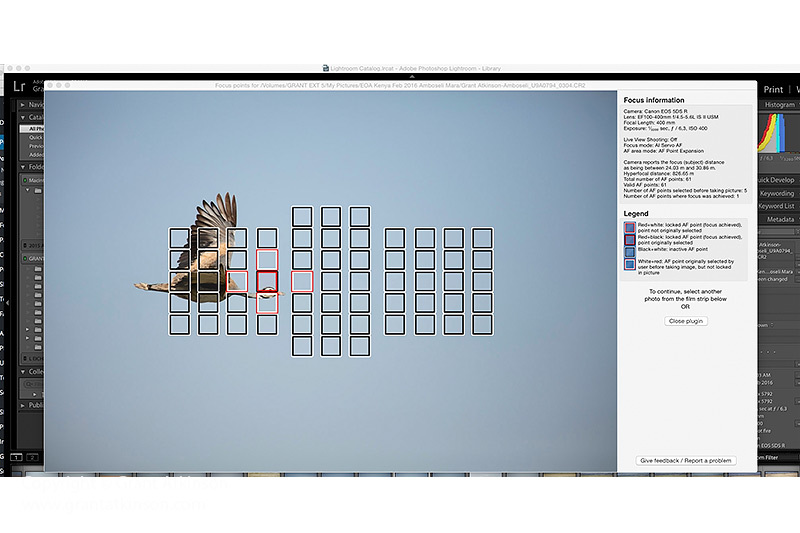 I chose to use the Expand Area (1 plus 4) points for the white-bellied bustard in flight. In this instance the extra points give me a little more leeway in case my selected point drifts off the birds face. AF is still fast with this 5 point option, and I find it a good balance of accuracy and speed. 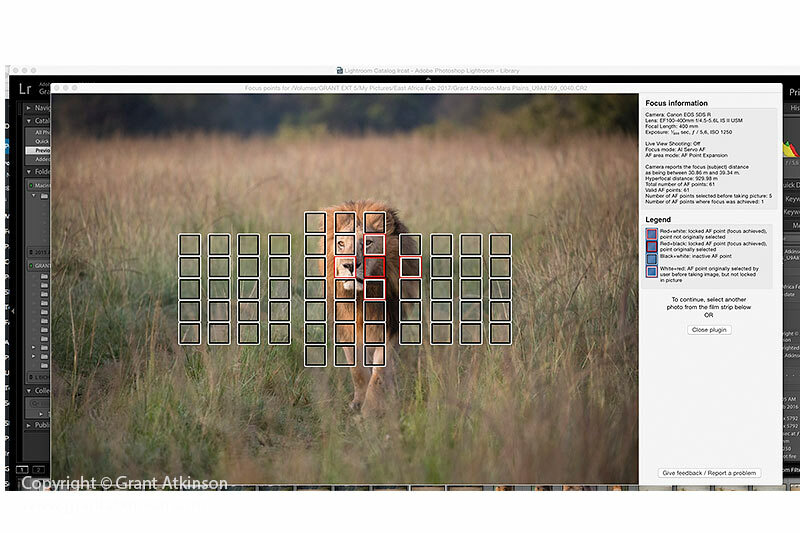 I chose to use Expand Area (1 plus 4) points for this oncoming lion image. I also preferred, with the subject approaching and having up and down motion, to keep my focus point location just within the very outer ring of AF points for greater accuracy. I find that the speed at which I can shift whereabout in the frame my camera is focusing is best with Manual Select AF Zone, even though it is not always very accurate. However, it was perfect for these elephants, which were well lit and I had enough depth of field to get the front animals forehead, eye and tusk in focus. In this case, it did not matter that the tusk was what the AF focused on. Aside from the different focus groupings that I have shown here, the 5DSR has another 4 to choose from. It also has Canon’s autofocus Cases, which are a number of presets that allow you to fine-tune how your autofocus performs for specific scenarios. I have used the AF system in the 5DSR, and the 1DX and 5D Mark 3, heavily since 2012. I have also written a dedicated post on setting up this AF system, using the 1DX and 5D Mark 3 bodies, which is applicable to the 5DSR, and can be read here. 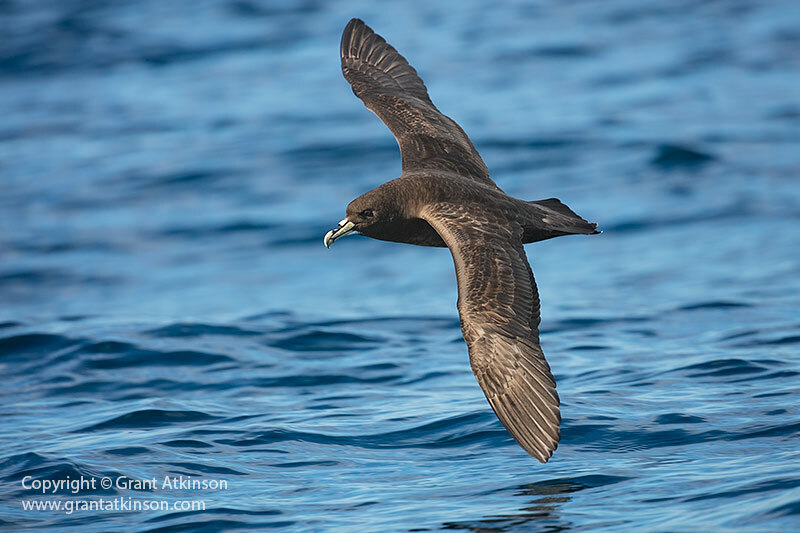 The 5DSR can also make use of its superior 150K pixel metering system, to aid with tracking when using the AF system with more than one AF point, and has an advantage over the 5D Mark 3 in this, which has less sophisticated metering. In my experience so far, I have not found that using the entire autofocus grid in a 61 point, automatic mode has benefits for my kind of shooting. And this remains true for the 1DX as well as the high-end Nikon dslr bodies that I have used. I think that the fully automatic tracking can work well when there is only one subject in the frame, and there is nothing else to focus on. It can also work when the subject is moving slowly and predictably. If my subjects speed or erratic motion increases, then I usually find the automatic point selection is defeated. So I continue to enjoy ever improving autofocus results from my Canon cameras, and I do my own best using either a Single AF Point, or the expanded AF Area (1 plus 4) and it then becomes part of my job to keep that point/s over my subject. The 5DSR will autofocus through the viewfinder, when using a Canon lens that has a maximum aperture of f5.6, like the EF 100-400L 4.5-5.6 IS ii, with a Canon 1.4x Extender attached. Autofocus will be limited to the centre point only or the central point and four adjacent points. The 5DSR has good initial response, so when you press the shutter, it fires its first shot quickly, about the same as the 5D Mark 3. They share a shutter lag figure of 59ms. Viewfinder blackout is that period when the mirror swings up between frames and momentarily blocks the scene from reaching the viewfinder. On the 5DSR, it is identical again to the 5D Mark 3, at 125ms. These two cameras are more responsive than the 6D but not as snappy as the 7D Mark 2 or 1D series. Maximum continuous shooting speed is moderate at 5 fps. The 5DSR achieves its maximum frame rate with the standard, single battery. Whilst the camera has the option of crop-modes, there is no speed advantage to using them. The 5DSR has two card slots, one CF and one SD, side by side. Using the CF drive only, and shooting RAW images with all unnecessary processing turned off, onto a Sandisk UDMA 7 card, 160Mb/sec (32 Gb capacity), the 5DSR captured 17 frames in a single burst before slowing down. These images averaged 56 megabytes each, and where shot at iso 400, 1/2500sec at f4. 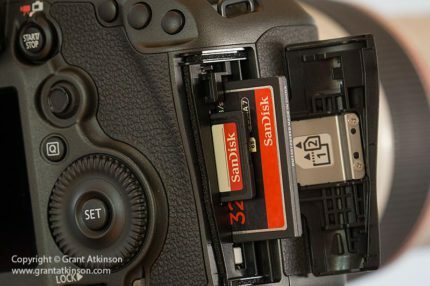 When it comes to the SD drive, if you use a fast SD card like the Sandisk Extreme Pro 95 Mb/sec ,the continuous shooting capture is within a frame or two of the CF card. Buffer clearing from full is a little faster on the CF card. 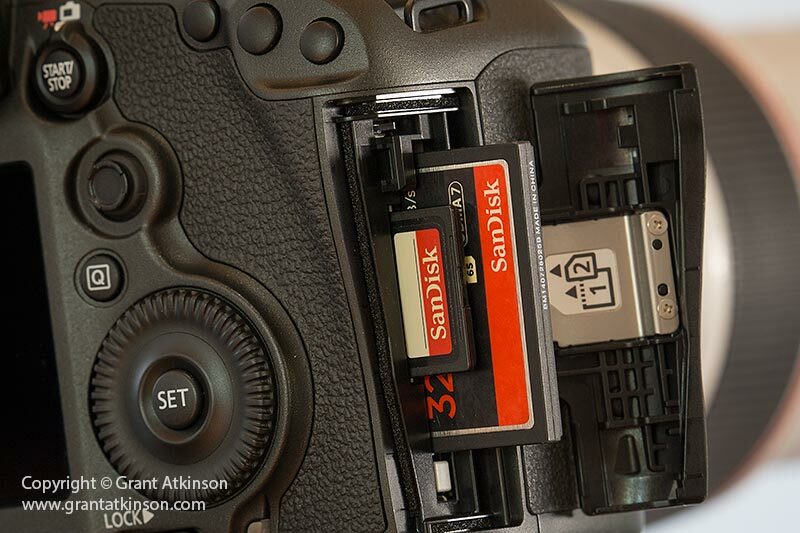 I did not test the 5DSR yet with an SD card faster than 95 Mb/sec. Take note that because of its high resolution, there is a big variation in file sizes that are taken where brightness and structure differ. For example, a bright outdoor exposure at iso 400 was 71.7 megabytes, whilst a dark subject indoors resulted in an iso 400 file of just 49 megabytes. Higher iso settings also increase file sizes. There are a number of steps that can be taken with regard to the cameras settings, if you shoot RAW, to extend continuous shooting capacity – read how to maximize the 5DSR buffer capacity here. As has been the trend with most Canon dslr bodies, aside from the 1-series, the 5DSR has a quiet shutter sound. It is quieter than the 5D Mark 3. 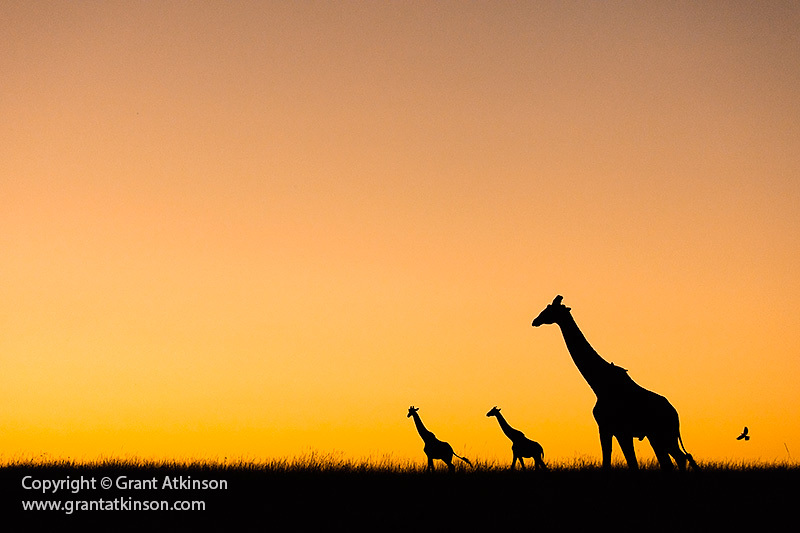 Quieter is good for wildlife and nature photography, and other kinds of photography too. The camera is not only quieter, but has its mirror mechanism re-engineered using cams instead of springs, which reduces shock coming from the mirror when shooting. Cameras with small pixels and high resolution are more likely to show this in the form of unwanted blur. The same kind of mirror actuation design is found in the 7D Mark 2. 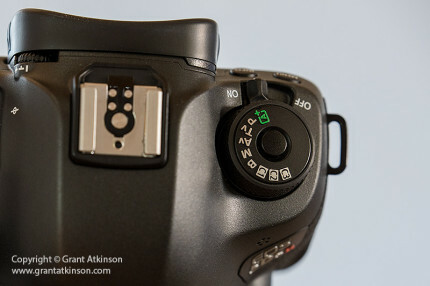 The 5DSR also has a very quiet silent mode, either single shot or continuous which is around 3 frames per sec. The shutter mechanism on the 5DSR is rated for 150 000 cycles. A key feature of this camera is its sensor. The full frame sensor measures 35 mm across and 24 mm high. Resolution is a class-leading 50.3 megapixels. A vertical crop of 2:3 aspect ratio delivers a 22.4 megapixel image. 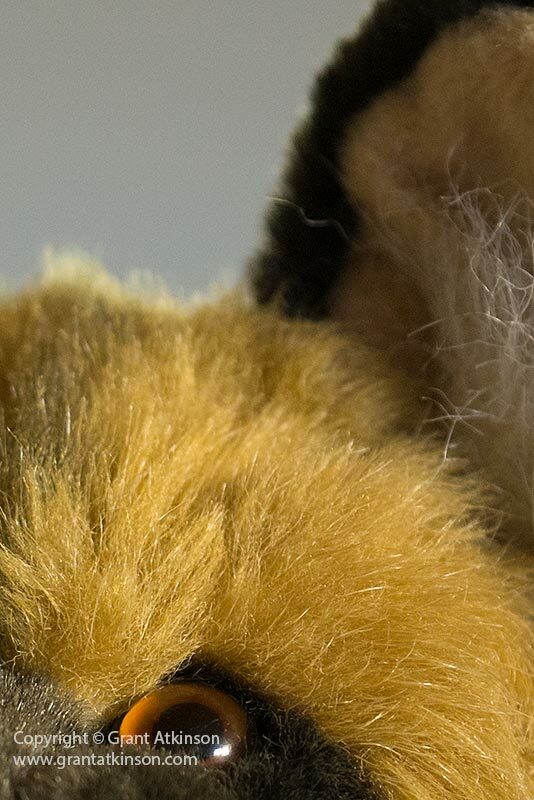 Compare this to a 5Dmk3 vertical crop which is 9.8 megapixels and the 1DX at 8.0 megapixels. There are times when that resolution advantage can come in very useful, specially when I might be looking to crop a vertical frame from an original horizontal image, perhaps for a magazine print. 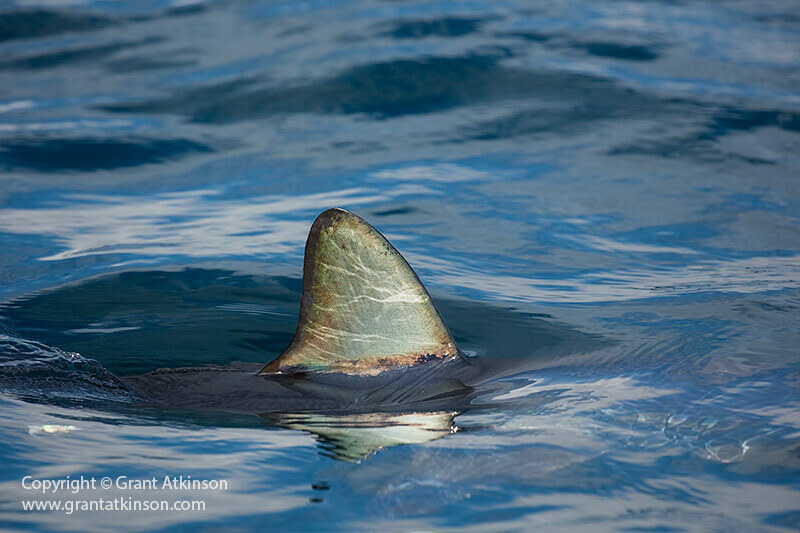 Of course, such a cropped image won’t match up to a properly-framed, vertically composed shot with no cropping, but as a nature photographer I don’t always do things perfectly in the field. The 5DSR has a 35mm wide sensor, just like the 5Dmk3 and the 1DX, but it has than twice as many pixels than those cameras. It follows that the individual pixels on the 5DSR are much smaller, and they are. Whilst these are by far the smallest pixels that Canon has used in a 35mm full-frame sensor design, the APS-C crop-sensor cameras have long been using small pixel pitches. The 5DSR has pixels with a pitch of 4.14 microns, whereas the 7D Mark 2 and 70D are just a little smaller at 4.1 microns, and the 760D is noticeably smaller still at 3.7 microns. I regularly shoot with Canon’s crop cameras, so I came to the 5DSR with lots of experience of small pixel sensors, just not full-frame ones. What I found is the 5DSR is just like those other fine pixel Canon bodies, in that I need to use proper technique when I am shooting, in order to get properly sharp shots. I do the majority of my work whilst handholding, so I make an extra effort to be steady when using these kind of cameras. Canon USA have an entire page on their website dedicated to the importance of making sure the camera is well supported when shooting. Obviously, you are likely to get many more shots absolutely sharp with this camera, first time, if you shoot from a tripod or rest. But it can and does still function well for handheld use, with a little care taken. 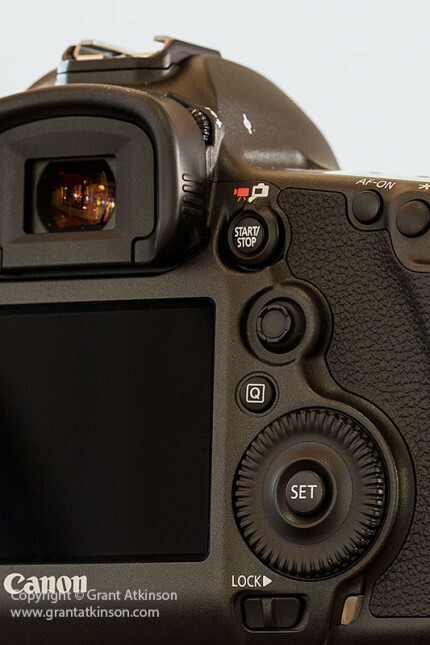 The 5DSR is the first production Canon dslr to have the effects of the low-pass filter in front of the sensor, cancelled out. This results in a slight increase in fine detail at the risk of moire, and is the first Canon dlsr to be produced this way. After some thousands of images taken with the 5DSR in the field, photographing wildlife and landscapes, I have yet to experience any negative effects from moire but it is possible I may have not noticed it. However, I have not yet taken too many extreme close-up images of birds, where some feather structures can/may cause moire to show. Both Canon’s software and Adobe LR and PS allow for moire correction. Right up front, I will say that this sensor delivers image quality that has surpassed my expectations. Although the 5DSR has not been in my hands for that long, I have been shooting Canon cameras with small pixels for a long time, with the 7D, and 7D Mark 2, 70D bodies. I was also expecting the 5DSR images to be very similar to the 7D Mark2 at a pixel level, but the 5DSR is noticeably better. Pixel-level comparison with the 7D Mark 2 reveals sharper details, a little less luminance noise, and better micro contrast. 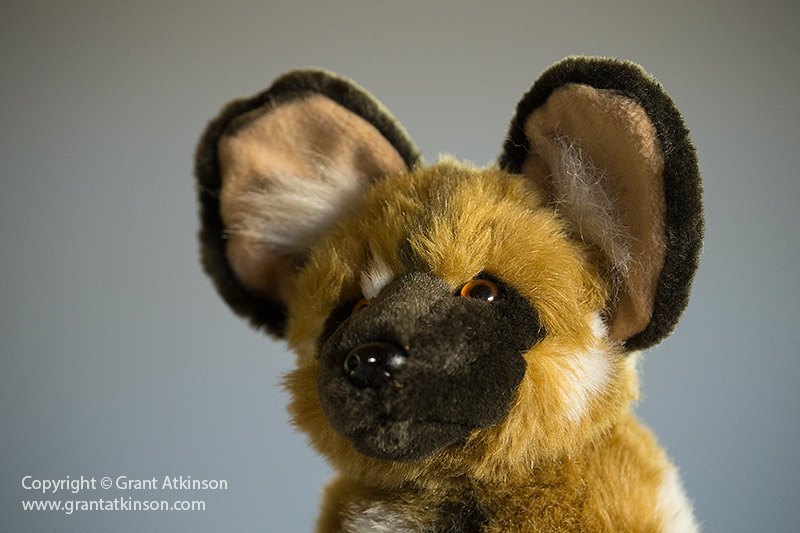 I have posted a series of test images taken with the 5DSR, side by side with the 5D Mark 3 and 1DX, using the same lens, settings and African wild dog furry toy subject. Between each set of images I increased the iso by one stop, starting at iso 200 and ending at iso 12800. Some images are cropped for comparison and to allow finer inspection of image quality. Each image details are outlined in the caption. These images were shot indoors but in natural light. Light levels slightly lower than what I would normally be working in a wildlife photographer but I frequently shoot into the fall of evening and the failure of natural light. Raw images all converted in Adobe Camera Raw (equivalent to Lightroom CC). A sharpening amount of 50 was applied to the high contrast edges of the image only, with the background masked from the sharpening by means of the Detail panel. I did no other editing. Examining these images that are downsized so much for the internet, really shows that there is not much difference to be seen in terms of noise, or added detail, when full-frame captures are turned into 800 pixel long side images. This really shows the effect of downsizing. It also shows that with a bright subject, good contrast, a steady mount and a still subject, that all three of these cameras can create usable images for web use right up to iso 12800, without noise reduction. This series of images has been cropped strongly, with the aim of making it easier to evaluate image quality. The crop shows the subject at the same size, which means that the 5DSR benefits from downsizing the most. The crop was chosen to show both high-detail, high contrast areas around the subject, as well as dark areas and low contrast background. For the next set of crops, I worked differently, in that they are all 1.2 megapixels. So here we are comparing the three cameras at pixel level, virtually a 1:1 zoom-in, or 100 percent view. Note that in the 5DSR image the subject is much bigger than the other two cameras. These 1:1 or 100 percent view crops give an idea of image quality at pixel level of the three cameras. The 5DSR has the smallest pixels and they record the most detail. 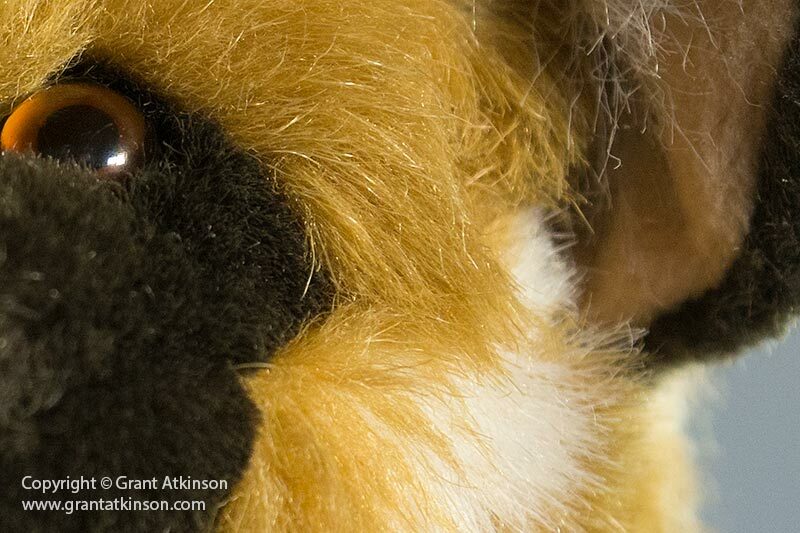 At high iso, from 1600 up, it does show more noise per pixel than the other two cameras. On the other hand, it has more than twice the resolution. The majority of my real-world shooting takes place in natural, ambient light and handholding, often with long focal length, telephoto lenses. I typically end up shooting when light levels are low, because many of the wild subjects that I follow are moving at those times. My preferred iso setting range with the 5DSR is from iso 100 up to iso 3200, from an image quality perspective. I am totally happy with the image quality that the camera can produce in that range. I find iso settings up to 800 are usually clean enough to print without me having to do any noise reduction at all in processing. I found myself comfortable using the 5DSR up to iso 3200 in the field and even higher if need be. I needed to apply noise reduction to the backgrounds usually or low contrast parts of the frame, from iso 3200 upwards. I find it fairly similar to the 5D Mark 3 in image quality, when it comes to noise, with the 5DSR perhaps having a slight edge when the images from the two cameras are compared at the same size. Evaluating image quality and comparing it, between cameras that have different pixel pitch, is a source of confusion to many. In some kinds of outdoor use, image quality of cameras with small pixels are also more likely to be affected by camera shake or motion blur than cameras with large pixels. There is a fair amount of information surrounding the 5dSR online that could be misleading. I have read reviews of the camera where it was stated that this was the camera that would turn your 200mm lens into the equivalent of a 400mm in terms of focal length, etc. Whilst a statement like this might have some validity when it comes to cropping, it can also be misleading. There is no equivalent for having the right focal length for your shot. 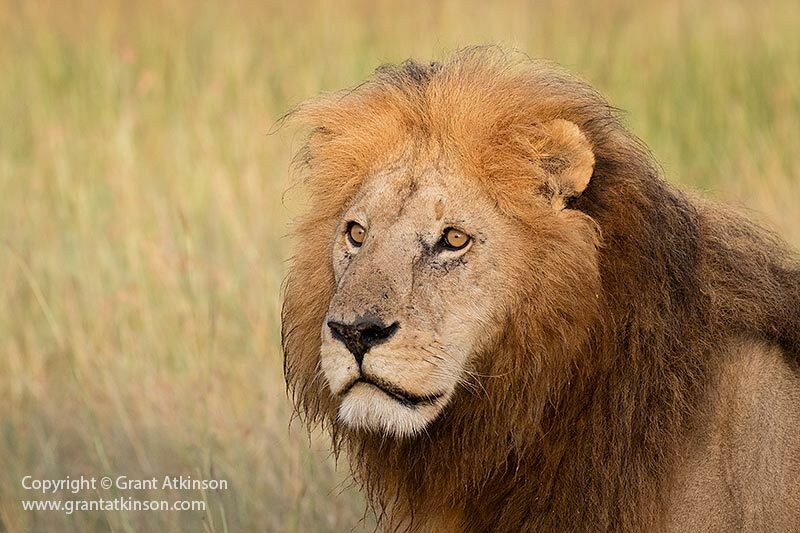 I used some images of a stationery lion in the Mara to illustrate this. 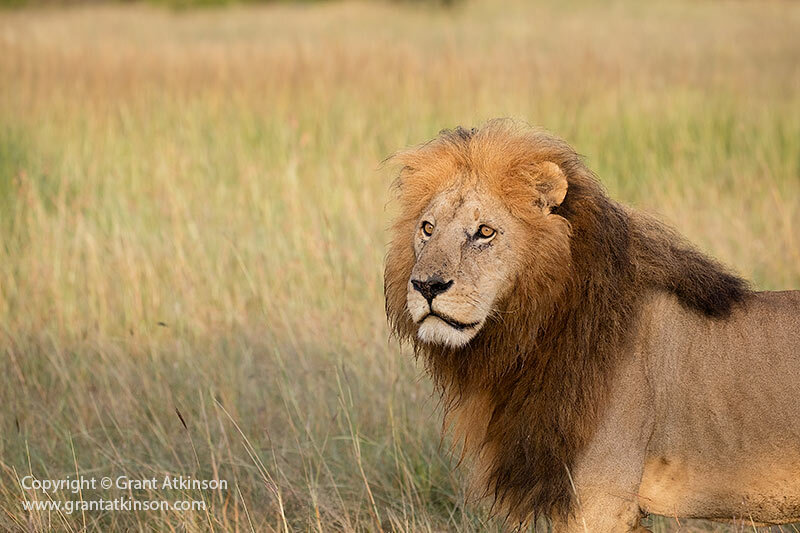 Male lion, Mara, Kenya. Canon 5DSR and EF 100-400L f4.5-5.6 IS ii. Focal length 200mm. 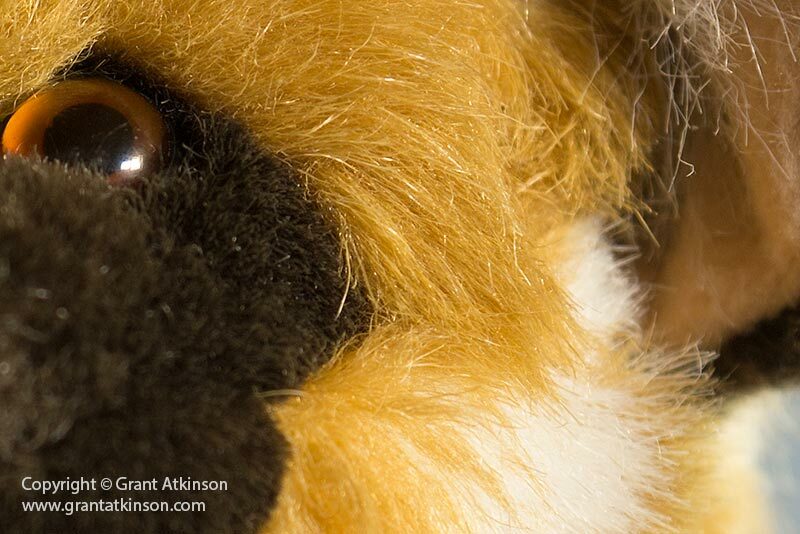 This image cropped from 50 megapixels to 18 megapixels, then downsized to 800pixels long edge. Click for larger view. 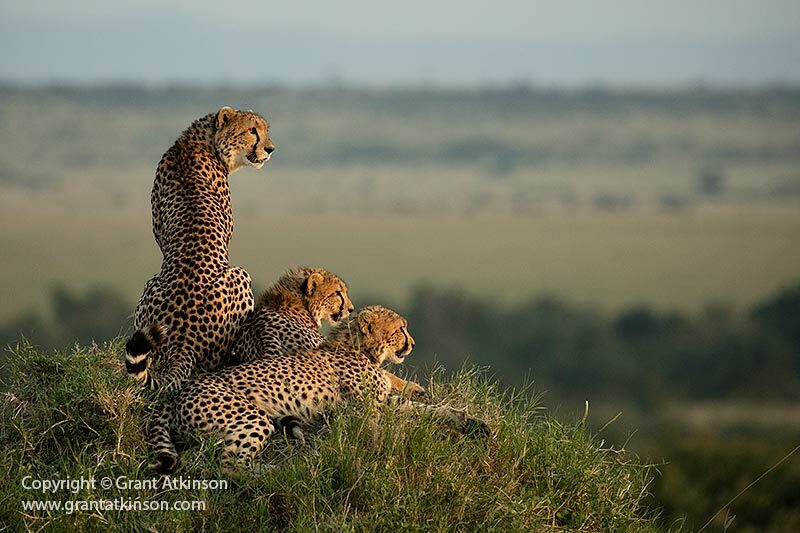 The first image of these three is taken at 200mm. The second image is a deep crop of that, resulting in an 18 megapixel file, and a tight portrait. 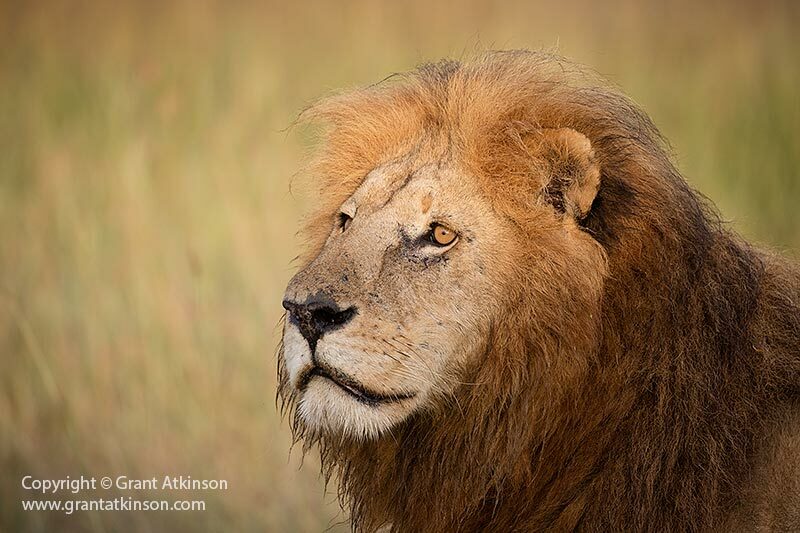 The third image is from the same place, same lion, but now at 400mm focal length, and no cropping. There is a clearly visible difference in the structure of the background, and the quality of the blur. 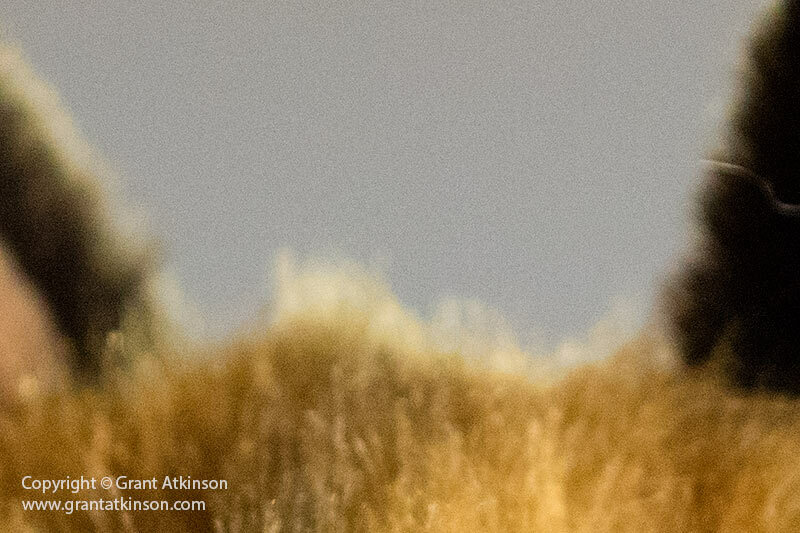 Just as important, the image taken at 400mm shows an almost tangible difference in the subjects separation. There is also more detail in the 400mm image. Of course, if you only had a 200mm lens then the cropped 18 megapixel image would have been a nice option, but it does not compare to using the full sensor. There is also a kind of guilty pleasure to tripping the quiet shutter and enjoying the satisfaction that you just banked an image at 50 megapixels resolution. Limiting cropping when shooting at high iso settings also strongly improves what the 5DSR can capture. Making your original capture with as many pixels as possible also improves the downsizing results if you choose to scale the image down. The 5DSR has in-camera crop modes but as I shoot RAW images only, they were of no significance to me. There was no speed benefit to working in the crop modes. Perhaps they might be useful for those who shoot jpg output. My overall feeling on this camera’s image quality is that it can really make beautiful, wildlife images that are filled with detail. 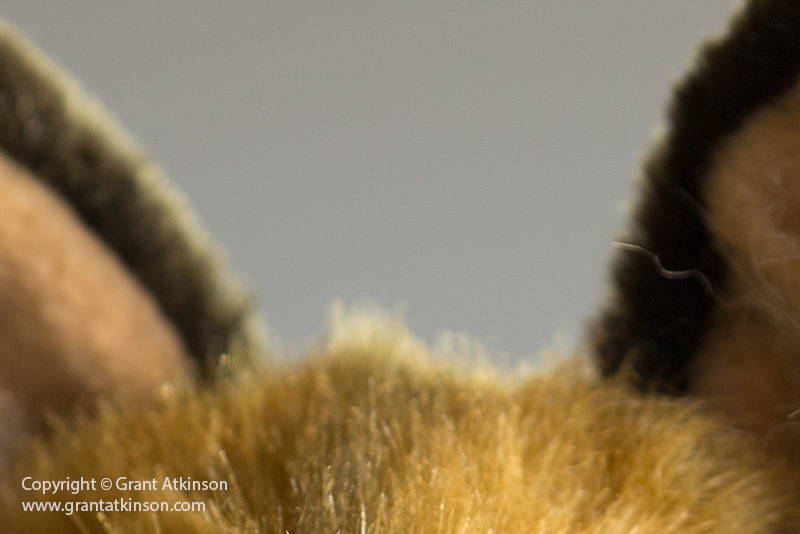 It seems to really shine with subjects that have rich textures, like an elephants skin, or a male lions mane. The bigger the viewing size, or print output, the more of an advantage it holds over other Canon cameras. Colours were well-portrayed, as expected from Canon. 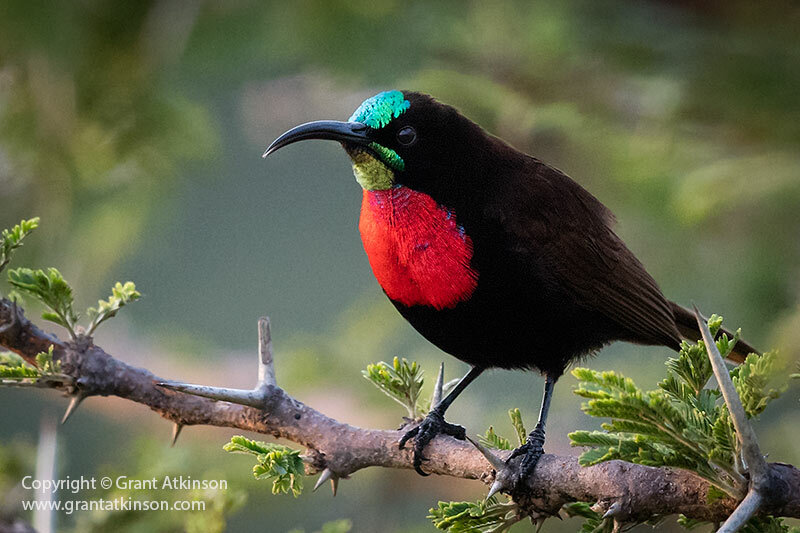 When it comes to noise, which is what many people judge image quality, at full resolution, it compared well with the 5D Mark 3 up to iso 3200, and similarly to the 1DX, so long as you viewed the images at the same output size. I also thought that the 5DSR matched or slightly bettered the 5D Mark 3 at iso 5000 or 6400. At those iso settings and above the 1DX was usually a bit better than both of the 5D bodies. I have yet to shoot any night skies with the camera but hope to add my findings in the coming months. 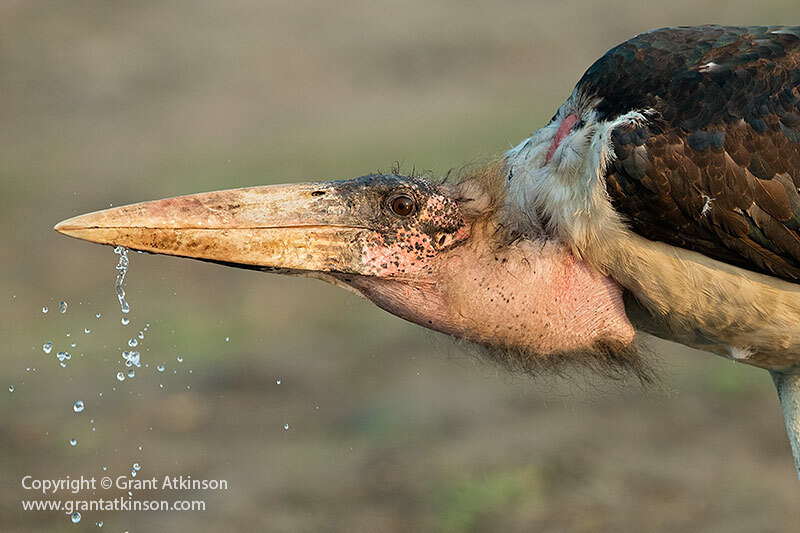 When it comes to photographing high-speed subject matter, like cheetah and antelope at pace, or fast-flying birds, I find that I get a higher keeper rate of really sharp images from cameras like the 5D Mark 3 or 1DX, compared to the 5DSR. I believe this is due to the larger individual pixels of the 5D Mark 3 (6.25 microns) and 1DX (6.9 microns) compared to the 5DSR (4.14 microns). How much of a difference in keeper rate is a bit hard to measure, as there are so many variables. The impala and cheetah image above was taken with the 5DSR. I made sure to shoot at a fast shutter speed. Several other frames in the sequence were not usably sharp but this one is. 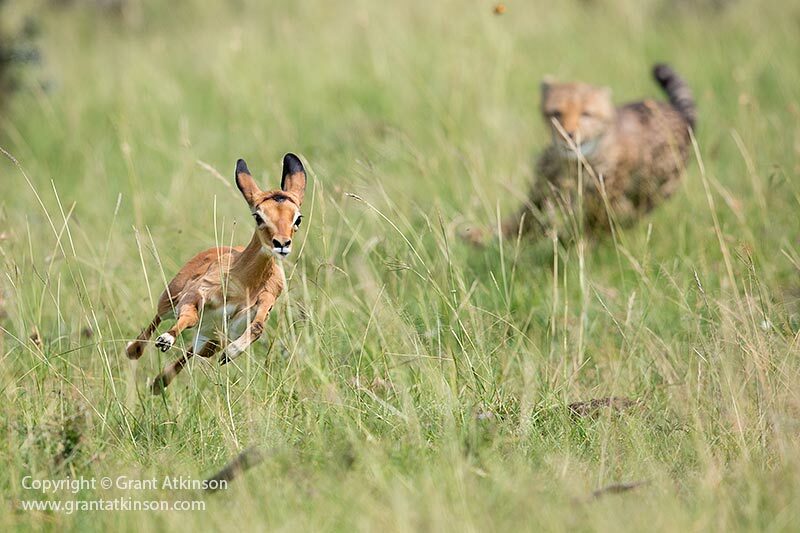 I generally shoot faster shutter speeds than 1/1000sec if something is moving fast anyway. Whilst I have not used the 5DSR for long enough to really see how reliable it is, and durable, my experience with owning three of the similarly-built 5D Mark 3 bodies might give good indications. None of the 5DSR, nor any of the 5D Mark 3 bodies have ever given my wife Helena or I any problems whilst shooting, or broken down. No strange error-messages, or lock-ups. I have seen a couple of 5D Mark 3 bodies have to get their AF multi-controllers replaced after they collapsed inward but this has not happened to us. We use our gear in quite harsh conditions, working a lot from open game-drive vehicles and subjecting it to bumps, dust and heat regularly. At the same time, we try to be careful with all of it, keep things covered when not in use, and enjoy high levels of reliability. Flicker mode which times exposures to sync with certain types of artificial light. If you shoot under lights this can be a powerful, time-saving, image-quality enhancing feature. Exposure compensation whilst in Manual mode, and with Auto-Iso engaged. 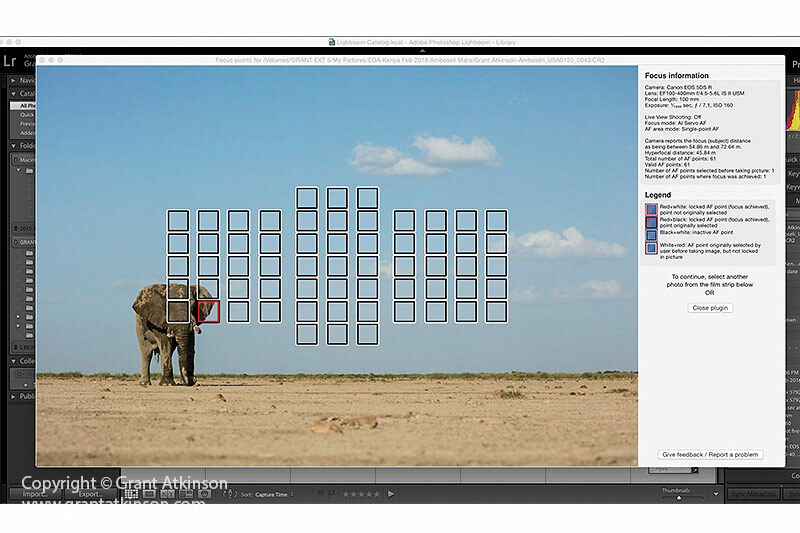 This is a very useful exposure mode for wildlife photography that I use quite a lot, and something that I miss in the 5D Mark 3. The Q-button screen can be reconfigured so that you have only the settings you use the most, available. 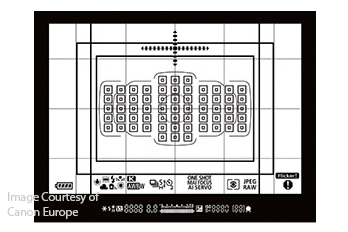 The excellent electronic level that can be shown in the viewfinder. Live View works a bit quicker than on the 5D Mark 3 or 1DX, but not as rapidly as the class-leading DPAF Live View found on the 7D Mark 2 and 1DX Mark 2. The new options for White Balance are pretty effective and can save a bit of editing time. I worked on the images on my Macbook Pro with fast ram but only 8Gb of it, and the raw files took a while to render in Photoshop, around 8 seconds. I have used this camera mostly with the EF 17-40L f4, EF 24-70L f4 IS, EF 100-400L f4.5-5.6 IS ii and EF 500L f4 IS ii. I still find it quite amazing that the lenses I used worked so well with the 5DSR, that I could operate effectively with a 50 megapixel, handheld combination. Image stabilization is an invaluable aid at these resolutions, for my shooting style. Fantastic image quality up to iso 1600. 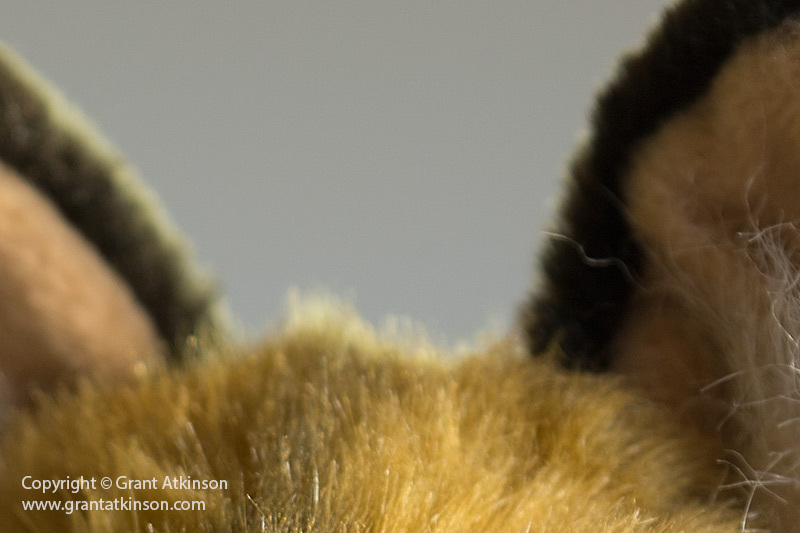 For small or distant subjects, cropping depth is similar to a 7D Mark 2. If you like making the biggest, best-quality fine-art prints from your images, the 5DSR is unrivalled in Canon’s stable of cameras. There is added detail, even when viewed on screen. Once you start seeing the images it makes, you kind of want to take all your pictures with the 5DSR. However, it does require careful technique, and really shines on Canon’s more recent lenses. It is also not as effective as the 5D Mark 3 or 1DX series for really fast action, due to frame rate and pixel pitch. 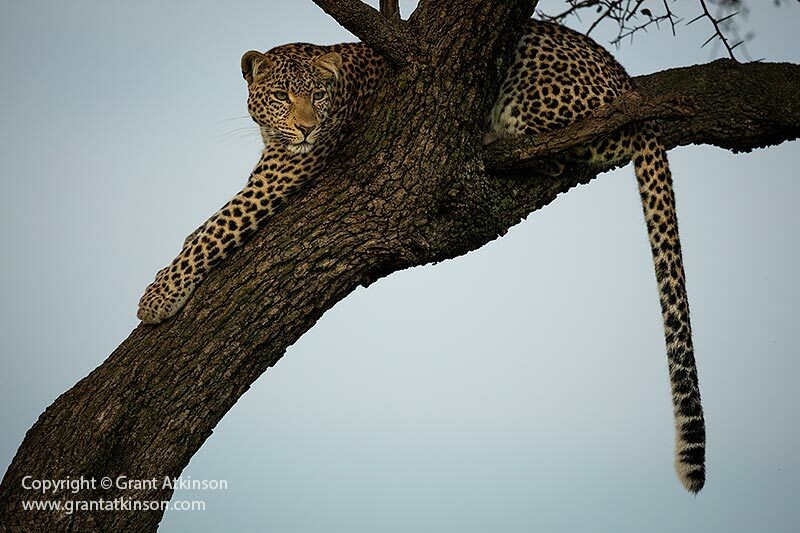 So, it may be that the 5D Mark 3 or 1DX are better all-round wildlife cameras, and they both are for me. But, at the same time, having a 5DSR to shoot together with one of those bodies allows me to extend my capabilities when it comes to image output both in terms of sheer quality, as well as maximum size for large scale viewing/printing. If that is important to you, the camera is well worth checking out for yourself. Thank you again for a most informative review. Your reviews are the best around. what is the largest size print would say the following cameras can make: 5dMark III, 1dx II, and 5ds? I use my Epson p800 so, in some ways, the “largest” is somewhat academic (the largest size that printer can do is 17x 22) unless I turn to a service but that is certainly an option, as is purchasing a larger size printer eventually. I realize there are a lot of variables that would go into an answer to this question but if you are able to shed light on the relative max sizes of the prints from these cameras, it would be very interesting and helpful. Thanks for the feedback. As far as print sizes go, to get a theoretical size for comparison, I usually just divide the long side pixel count of the camera, by 300 dpi, which represents dots per inch (for the printer). If my understanding is correct, then the 5D Mark 3, with a long side count of 5760 pixels would allow for a print at 300dpi of 19.2 inches, the 1DXMark 2 with its long side count of 5472 would equate to 18.24 inches. The 5DS with its long side count of 8688 pixels at 300 dpi gives a print size of 28.96 inches. This is straightforward to work out and could be called the native print size. These print sizes are calculated at 300 dpi (dots per inch), which many folk feel is maximal for quality. However, lots of photographers print at a lower printer resolution, so instead of 300 dots per inch, they print at 240 dpi. This will result in a bigger print but with bigger spaces between the dots of ink. Some argue that the human eye cannot discern these differences. Then, it is also possible to print bigger than the sizes I quoted above, if you use a computer program to mathematically resize your image larger, in terms of how many pixels it is made up of. Printer services do this all the time when they get images smaller than the required output. However, if you upsize a 1DX Mark 2 or 5D Mark 3 image to the size of a 5DS/R image, the sharpness and image quality usually would not be as good as an image not resized, like the 5DSR. Hi Grant…….excellent review. 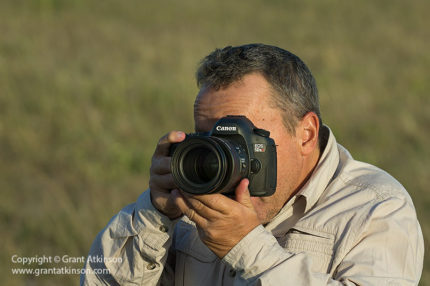 I always value you opinions on equipment as a fellow South African wildlife photographer who enjoys the same shooting as you. I have owned and still own many Canon lenses and bodies and am looking closely at the 5Dsr to use on the 100-400 II. I, like you (I guess), prefer full frame sensors to maximise image quality especially to blow the backrounds out and get the impact of a sharp subject against a non distracting backround eg. my 1Dx on the 800mm works beautifully. Now the big question for me is the image quality of the 5Dsr….not sharpness….I fully understand what 50 MP can do and the benefits of cropping etc. I come from 20+ years of shooting from back in the days of Fuji Velvia and love the look it gave of a well exposed subject in that warm light. Now I quite like the colours from the 1Dx and the 5dmk3 extracted in Lightroom but the 7Dmk2 doesn’t quite do it for me. I find the yellows and others a bit artificial (not to offend any that have the 7d mk2 but just my opinion). How do you find the colour accuracy/rendition when compared to say the 5d mk3 and 1Dx and even compared to the old school slides??? However, the full frame image quality of the 5DSR is very similar to the 5D Mark 3 and 1DX when it comes to colour rendition. It is stronger than the 7D Mark 2 in this regard, in my opinion. Even if you crop the 5DSR image to around 20mpixels, you basically have the same subject size as a 7D Mark 2 but with slightly lower noise as well as slightly better micro contrast. 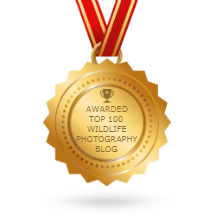 Thanks for an excellent insight into the use of this camera for wildlife photography. I know that quite a few landscape photographers use this camera for its high-resolution images and I have heard of other wildlife shooters adopting it as well, particularly where they have concentrated on wildlife portraits as opposed to action shots. In the comparison shots you have included in your write up the 5DSR images appear to have more contrast and saturation right out of camera – which to me is quite pleasing. 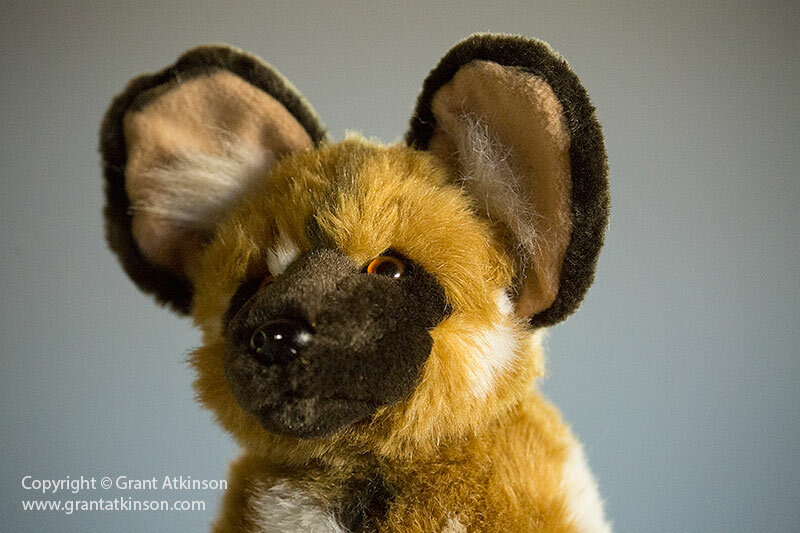 As I have a wide photographic taste, everything from people, to landscape, to wildlife including macro for butterfly shots, I am quite drawn to giving this model a place in my camera bag. But I need to think hard, as I believe the 5D MK IV may be just around the corner, and that may be a better option for my use, especially given that it probably will be full frame and with (hopefully) updated technology included from other camera bodies in the Canon line-up. Perhaps, it’s better to wait and see what happens and then review the situation down the road. And when that time comes, this review will be right at the top of my reading list! “…more than twice the resolution” Errr, no. Just no. Suppose one has a 20 Mp camera. To get twice the resolution, one would upgrade to an 80 Mp camera. Twice the resolution means you have twice as many pixels on the horizontal axis, and twice as many pixels on the vertical axis, yielding four times as many megapixels overall. The confusion arises because we express an area measure with a linear metric. A 50 Mp camera has about twice the resolution of a 12.2 Mp camera, but perception of the improvement will generally be less than the specifications suggest due to resolution limitations of the lenses, available light, camera settings, camera vibrations, etc. (see Clarkvision.com for detailed explanations; his model of apparent image quality (AIQ) peaks near 33 Mp for full frame 35mm cameras, though one might achieve better images at the widest apertures in bright light with a bit more Mp resolution). West Coast Imaging has a megapixel to image quality chart that is a practical guideline for Bob’s question above. It includes scanned film, and medium and large format image quality for comparison. I wouldn’t bother posting the whole images downsized as they fail to yield much useful comparative data. At 800 x 533 pixels the only useful info I can display is a 100% crop. A web-only user can often get by just fine with a point-and-shoot anyway. In my view, the shooting information you’ve posted, especially things like warning the prospective buyer about the effect of subject movement relative to smaller pixels, are the most valuable part of your post. More detailed data would be helpful. If you shoot a subject or event with a mix of cameras, you may be able to get more detailed success rate data, for example. Likewise, it would be helpful to hear your in-the-field experiences with lens choice and aperture settings using the small pixel full frame. Differences between the images produced by these bodies should be more pronounced at wide apertures provided the lenses are sharpest there (eg, see: “Different Sized Pixels in the Same Sized Sensor” at Clarkvision). Perhaps for future blog entries? thanks for the once again wonderful and detailed review that benefits extremely from your real world experience with this body. Sorry if I echo the earlier question by DaveT (above) but it has been some time since he posted it and a bit of time you had the 5DSR and I also see in your blog that you list the 5DMIV (and not the 5DSR) in your gear and I am wondering given that the two are roughly the same price at present which one I should go for. Hi Dimitrios, thanks for your feedback. 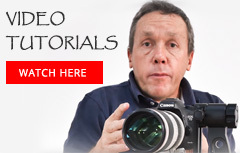 You have a good understanding of the 5DMk4 and the 5DSR from your post. There are some advances in what I might call the flexibility of the 5DMk4 over the 5DSR in the form of DPAF Live View, touch screen, slightly greater AF point coverage, speed and buffer. When it comes to image quality in terms of high iso, and noise, the 5D Mark 4 seems a little better to me, even if I make the images the same size. 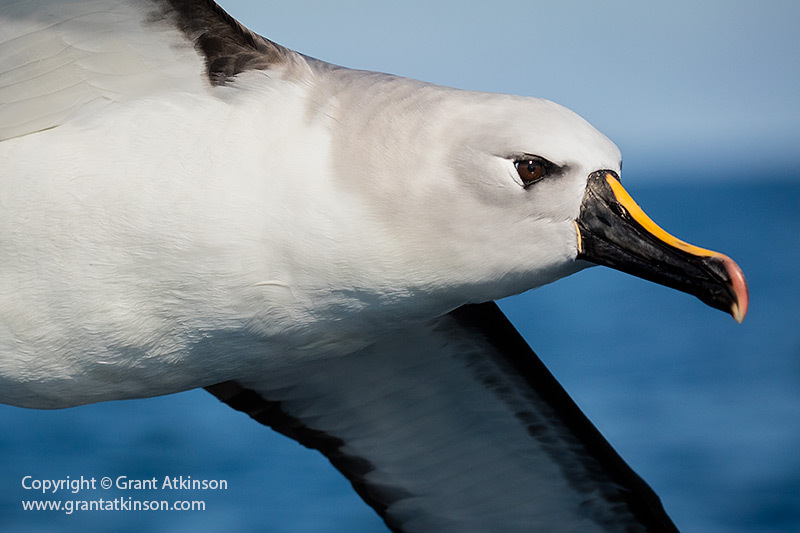 However, if you have a use and a need for the high resolution advantage of the 5DSR, then just get it and enjoy it. Compared to your current bodies, the horizontal resolution of the 6D is 5472 pixels (the same as your 7Dmk2) whereas the 5DMk4 is 6720 pixels wide, and the 5DSR is 8688 pixels, so the ability to print larger is significant. Personally, I find it easier to get properly sharp shots when I am handholding and using long telephoto lenses (often of moving subjects) when I am using cameras with larger pixels like the 5DMk3, the 6D, the 1DX and 1DX Mark 2. I get fewer really sharp shots shooting that way with cameras with small pixels like the 7D Mk2, the 5DSR, and also the 5DMk4. Of course your results may be different than mine in that regard. You already shoot with one camera with large pixels (your 6D) and one with small pixels (7Dmk2) so you will have your own experience to draw from in that regard already. I do still make use of the 5DSR for certain kind of shots – as I do value the large print possibilities that it brings, but we don’t own one. 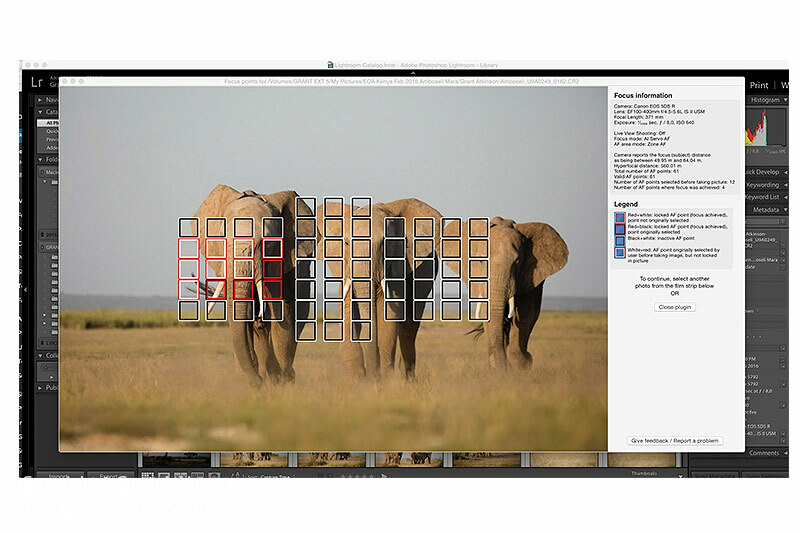 I use it for elephant and rhino images when those are my priority. I do own the 5DMk4 as the good high iso image quality (also the dynamic range though to a lesser degree) is very important to our shooting (natural ambient light, much work around sunrise and sunset or even after). The extra speed and reasonable buffer size also make it a better choice for what I do. I hope that something there helps?